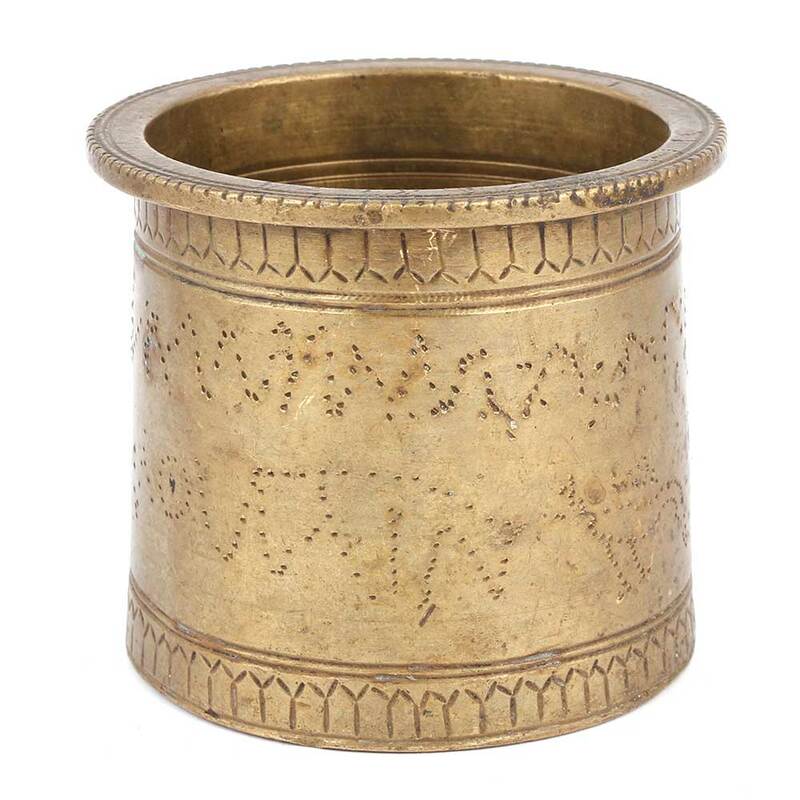 The cup is made of bronze and is handmade by the skilled craftsmen of India. 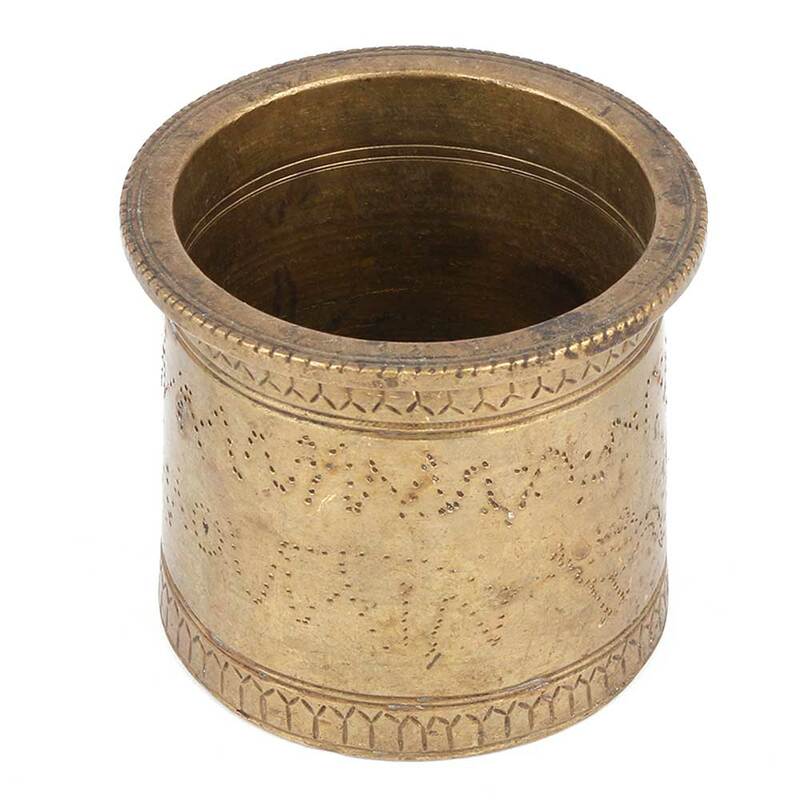 This cup is used for charnamrita distribution and gifting. It has engraving which is done through dots and made a pattern.